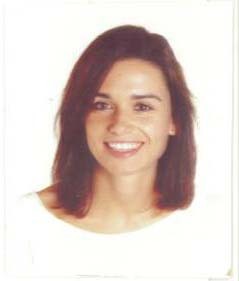 Dr. Beatriz Santiago González is a Marie Curie COFUND Research Fellow at the Department of Nanophotonics, within the Ultrafast Bio- and Nanophotonics group. Her research revolves around the synthesis and experimental investigation of the optical properties of fluorescent colloidal nanomaterials for biomedical theranostics. Beatriz gained her PhD in chemistry at the University of Santiago de Compostela (Spain) in 2012 within a European funded project, which allowed her to be trained in a wide range of synthetic protocols for producing colloidal nanomaterials. After that, she had the opportunity to become a postdoctoral researcher within an advanced spectroscopists’ group at the Department of Materials Science of the University of Milano Bicocca (Italy), where she personally built her own research line in nanochemistry, learning the photophysical properties underpinning fluorescent nanoparticles. In 2017, awarded with a postdoctoral fellowship by Bioengineering Institute of Technology, she moved to Universitat Internacional de Catalunya (Spain), where she worked on the design of nanomaterials as new smart delivery vehicles for regenerative medicine. During this period, she supervised 6 MSc students and she participated and supervised some National and European projects allowing her to gain also management skills and to be involved in lecturing and science dissemination programmes. Santiago González, B.; Monguzzi, A; Capitani, C.; Prato, M.; Santambrogio, C.; Meinardi, F. and Brovelli, S.
Angew. Chem. Int. Ed.., 2018, 57, 7051-7055. Adv. Funct. Mater., 2018, 28, 1707582. Santiago González, B.; Monguzzi, A; Caputo, M.; Villa, C.; Prato, M.; Santambrogio, C.; Torrente, Y.; Meinardi, F. and Brovelli, S.
Scientific Reports, 2017, 7: 5976. Santiago-González, B.; Monguzzi, A.; Pinchetti, V.; Casu, A.; Prato, M.; Lorenzi, R.; Campione, M.; Chiodini, N.; Santambrogio, C.; Meinardi, F ; Manna, L. and Brovelli, S.
Santiago González, B.; Monguzzi, A.; Azpiroz, J. M; Prato, M.; Erratico, S.; Campione, M.; Lorenzi, R.; Pedrini, J.; Santambrogio, C.; Torrente, Y.; De Angelis, F.; Meinardi, F. and Brovelli, S.